S M Ong: What do you do when a fly lands in a stranger's cup of tea? What do you do when a fly lands in a stranger's cup of tea? So I’m eating mee siam at a new food court called The Cafe Lobby at Yew Tee MRT station. 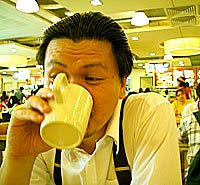 Seated facing me at another table is a Chinese man in his 50s drinking a cup of tea. As he’s looking around the food court, I notice one of the flies I have been waving away from my food landing on the inside of his cup. Then the fly flies off. Unaware, the man lifts the cup to drink. “Oh no!” I scream silently in my mind. What’s the etiquette in a situation like this? Should I say something? Like maybe “Stop!”? But I don’t know this man and he doesn’t know me. If I suddenly shout at him, I may actually scare him to death. He’s old enough that he could die of a heart attack. A fly won’t kill him – but I might. And if he doesn’t die, he’s not going to be happy that some stranger with crazy hair just shouted at him for no good reason. How do I tell him about the fly? What if he doesn’t understand English? I have no idea how to say “fly” in Mandarin or any Chinese dialect. But I do know how to say “mosquito” in Chinese. So maybe when I’m explaining to him why I almost gave him a heart attack, I can substitute the word “fly” with “mosquito”. Would that make a difference? Would he mind that a mosquito flew into his cup instead of a fly? 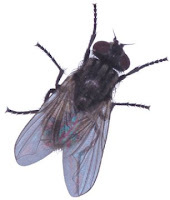 We all know that flies can spread disease by landing on the food you eat, but mosquitoes are pretty harmless unless they bite you, right? How believeable is it anyway that a mosquito would fly into someone’s cup? That’s what flies do, not mosquitoes – not that I’m an expert on insect behaviour or anything. No, that won’t work. I’m not sure I know how to say “crazy person” in Chinese. You know what I blame for this? This retro trend of making food courts look like the roadside food stalls of Singapore’s Third World past. It seems like they’re reviving Third World hygiene standards as well, along with the hat-wearing Hokkien mee seller. The cup reaches his lips. Oh well. Too late for me to do anything now. He’s drinking from the exact spot where the fly landed. I’m wondering if tea flavoured with a fly’s feet tastes any different from regular tea. Judging by his lack of retching, I guess not. The man finishes the tea and leaves. He looks okay. For now. I make a mental note never to eat in this food court again. At least, until they get rid of all the flies. Never mind the ABC grading. The National Environment Agency should just do something about these damn flies in food centres. Or I'll really have to brush up on my Chinese. Thks for the article in The New Paper today re the fly. FYI, S11 coffee shop at Bishan next to Junction 8 have more flies than you could count but I dont know how to go about it informing the authorities. 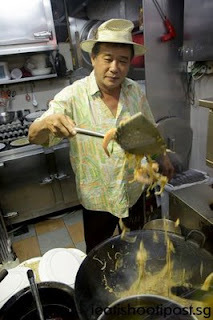 I eat there almost daily and had to keep swatting the flies away while eating my favourite minced pork mushroom mee pok. Hope you can do something about this.